Flip a coin. If heads,give 100 HP to all teammates and absorb 100 HP from enimies. 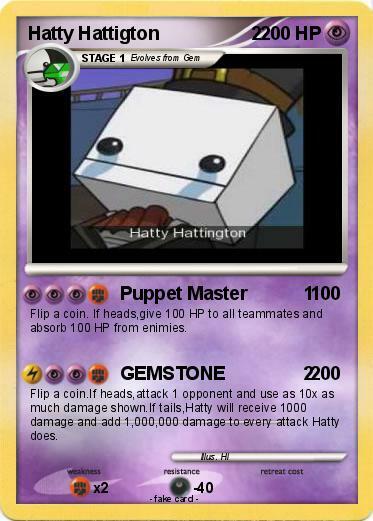 Flip a coin.If heads,attack 1 opponent and use as 10x as much damage shown.If tails,Hatty will receive 1000 damage and add 1,000,000 damage to every attack Hatty does.